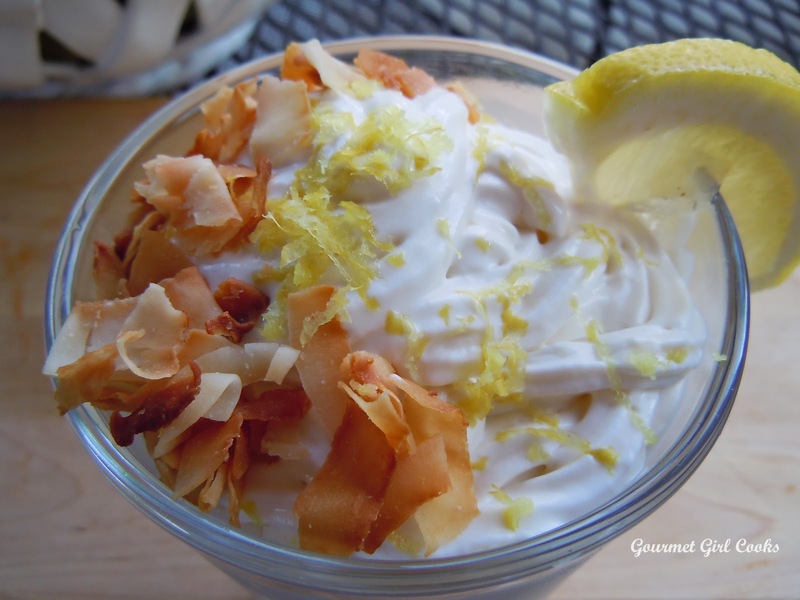 Last night I made a no bake Lemon Chiffon Fluff with Toasted Coconut Chips. I chilled it overnight to serve for dessert this evening. 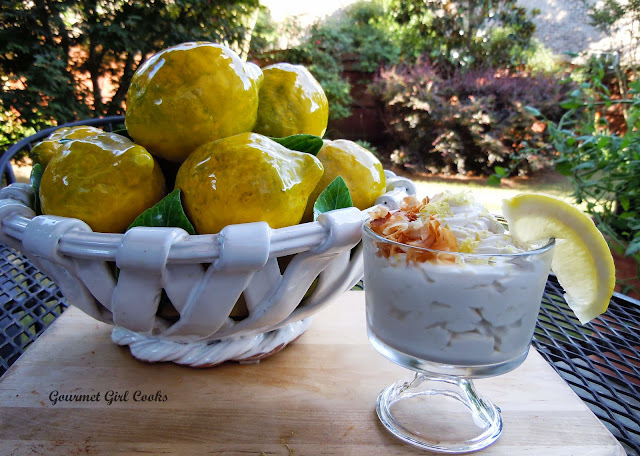 It was simple and good and reminded me of a crustless lemon chiffon pie. Since it didn't have any crust, I used the larger coconut chips from Tropical Traditions that I toasted for a few minutes to top it with for a little added crunch and nutty flavor. It turned out really good. I snapped a few photos below along with the recipe. The recipe uses my Sweetened Condensed Coconut Milk (also below). 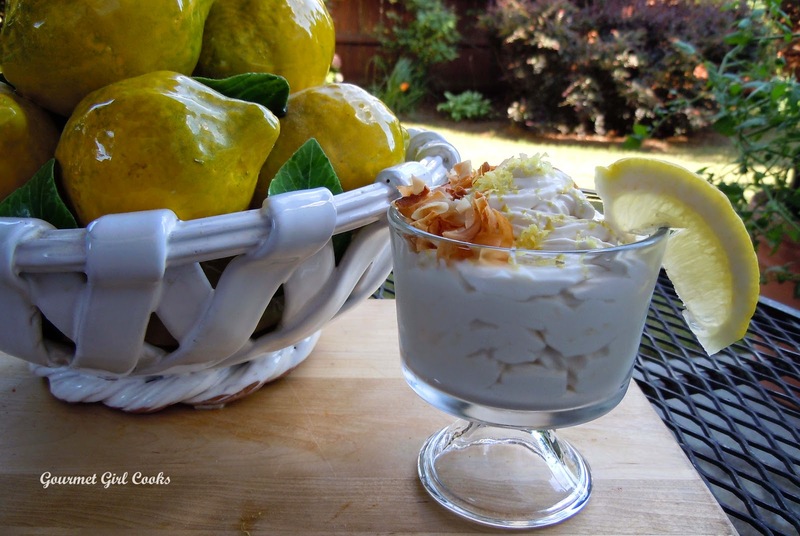 Note that the condensed milk recipe makes more than the 3/4 cup necessary in this recipe. 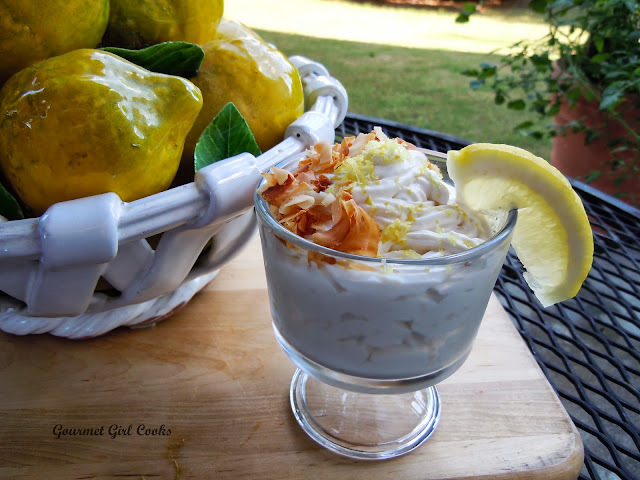 You can easily make a half recipe of the condensed milk if you don't want any extra to make other things with and the 1/2 recipe of condensed milk would provide you enough to double the Lemon Coconut Chiffon Fluff recipe if you wanted to make 6 to 8 servings. Enjoy! In a large mixing bowl, beat softened cream cheese until fluffy using a hand mixer. Add sweetened condensed coconut milk, lemon juice, lemon zest, 6 tablespoons Swerve and beat until mixture is smooth, about 2 minutes. Using a rubber spatula, fold whipped cream into cream cheese mixture until well blended and smooth. Taste for sweetness and add additional sweetener, if desired. 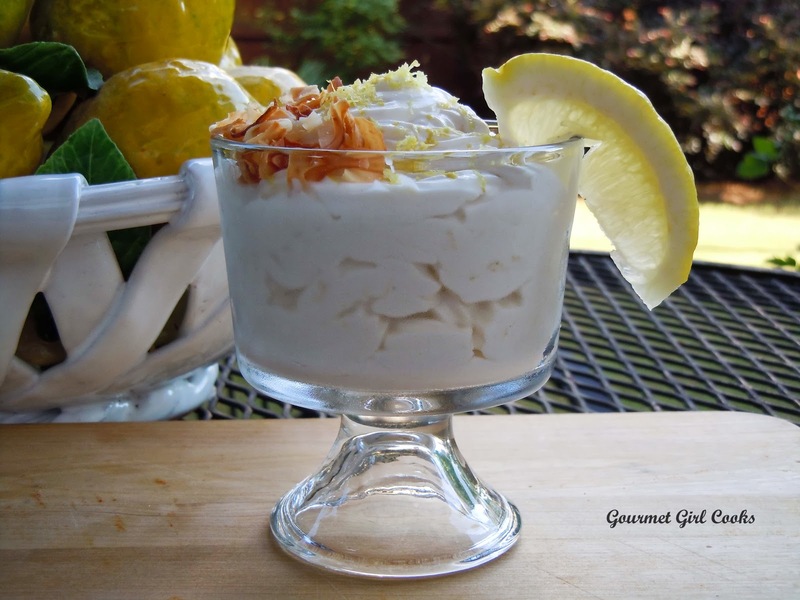 Spoon mixture into custard cups or dessert bowls. Refrigerate for 3 to 4 hours or overnight. 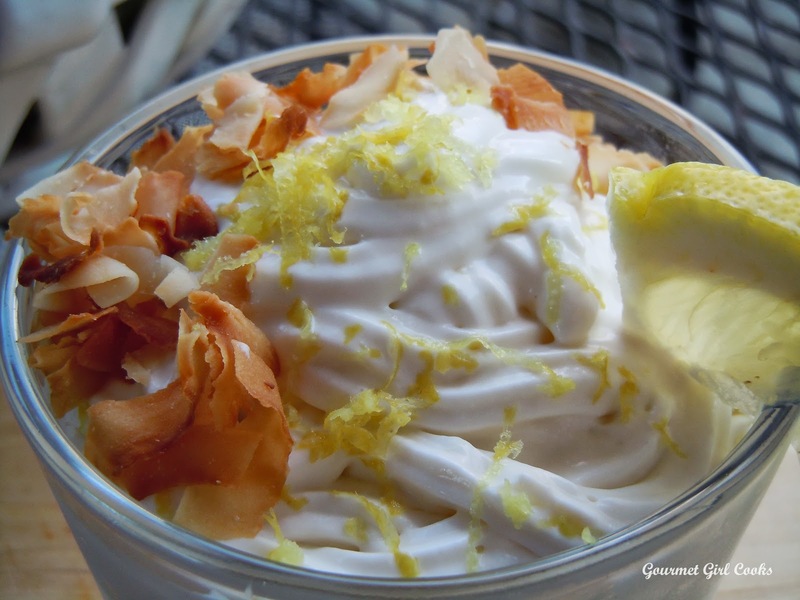 To serve, top with toasted coconut flakes. Makes approximately 4 servings. **Note: If you prefer a thicker consistency, add an additional 2 ounces of cream cheese to the filling for a total of 8 ounces. I'm sure the Lemon Coconut Chiffon Fluff is delicious, I love lemons. But I'm writing because I just had to tell you how beautiful the the fruit bowl and "glass"? lemons are. It's gorgeous :).